This is one of my koi which had just arrived from Japan when the photo was taken, she has been out there growing on for the last two years. She was bred at Momotaro and mearured 63cm at Sansai. This is a picture of Jigsaw which I bought at Tosai 41cm, I have been growing her on in one of my grow on ponds and she measured 60cm when the photo was taken at nisia. She was also bred at Momotaro in Japan. 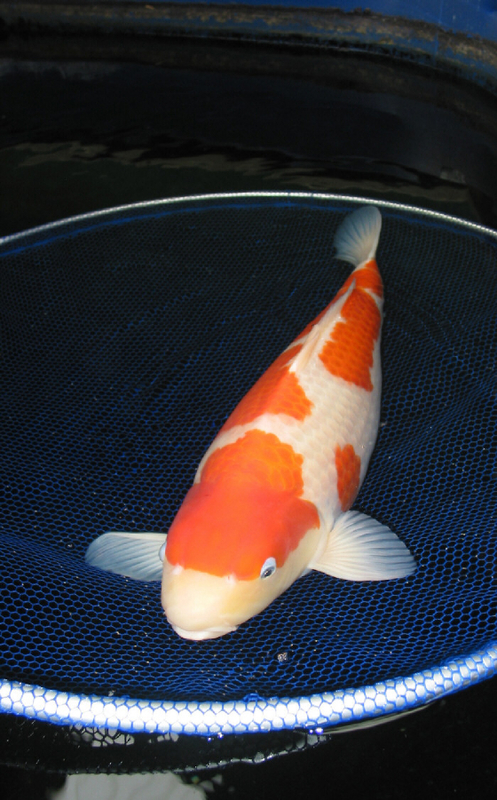 This is another one of my Oyagoi, a Maruten Showa which measured 53cm when the photo was taken, she is also bred in Japan. 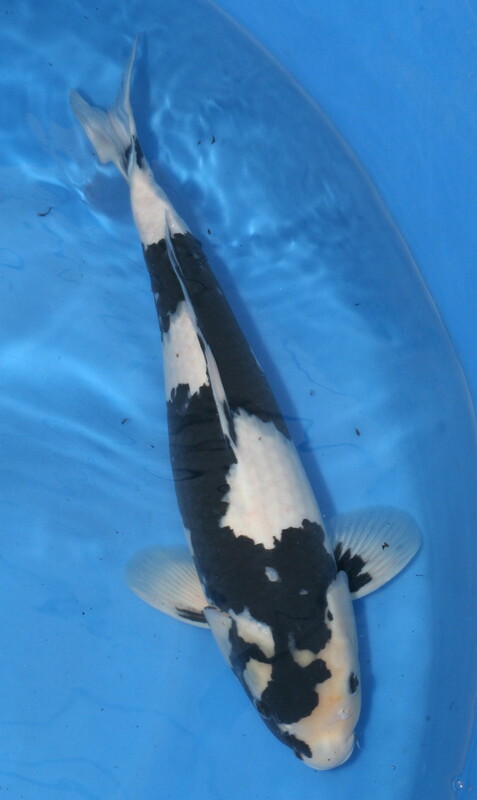 This is a Tancho which I aquired last year in Japan, she is female and measured 55cm at Nisai. 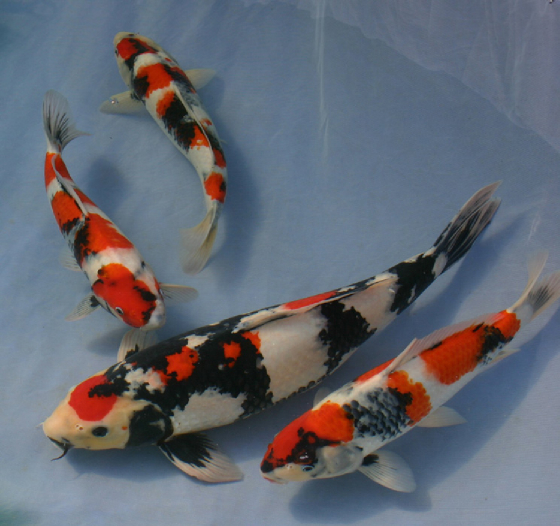 This is a male Kohaku, bred by Yamatoya. 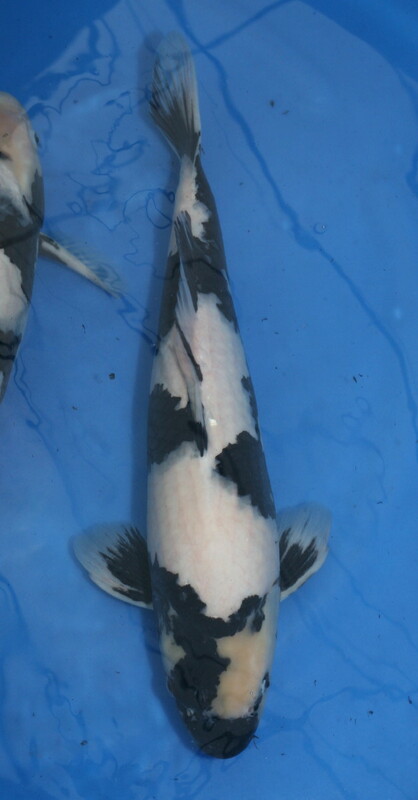 This is another male Kohaku, bred by Yamatoya. 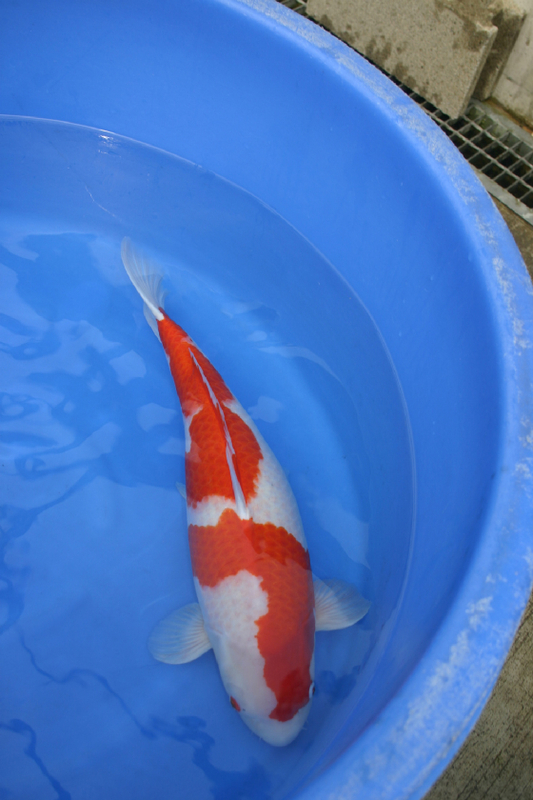 This is a male showa, bred by Ueno. This is one of my male Shiro Utsuri bred by Omosako. 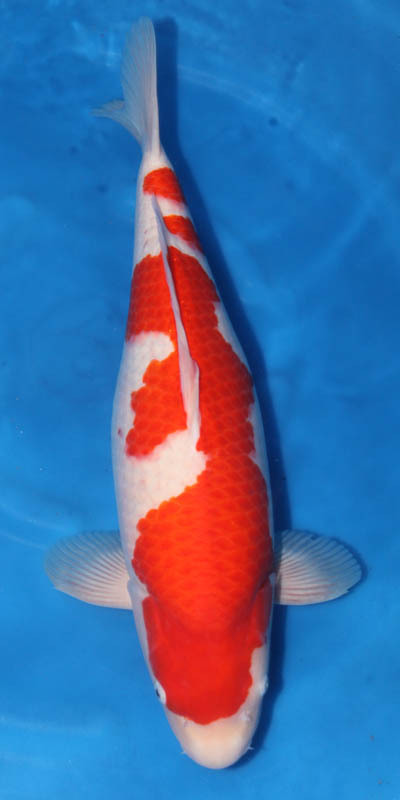 This is a Momotaro Female Kohaku, Mako breeding. This is another one of my male Shiro Utsuri bred by Omosako.